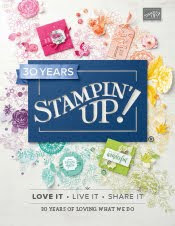 Just Julie B's Stampin' Space: Boxes and Bags & Tie on Tags! Boxes and Bags & Tie on Tags! This awesome project was made by Sue Plote and you can get her tutorial when you subscribe to the month of September over ay Craft Project Central. Cookie Cutter Halloween for a Challenge! Candy Lane Christmas Gift Giving Ensemble! Fall Leaf Treat Box Trio! Autumn Wreath Greeting Card Box Set!